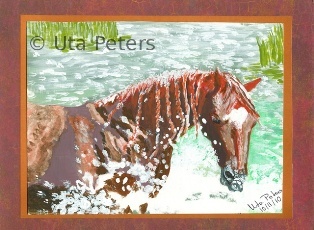 You can select 6 X 8 or 4 X 6 prints for each painting to the right. 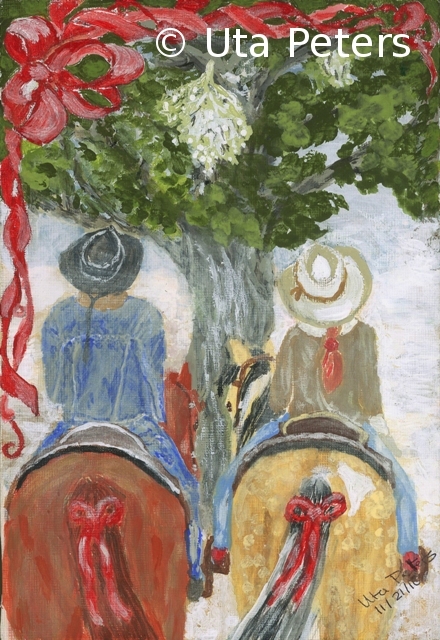 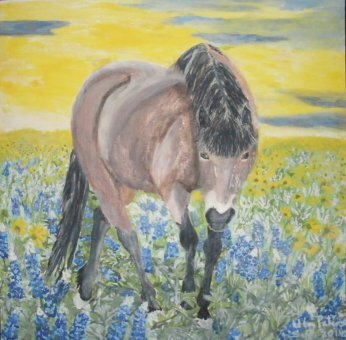 In addition to teaching and caring for horses, Uta Peters is also an artist! 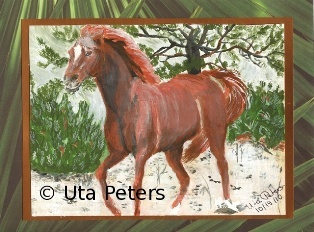 Uta wanted to place this lovely (Minnesota) Icelandic (horse) into an almost transcendental scenery of colors which would complement the blacks and pale browns of her coat. 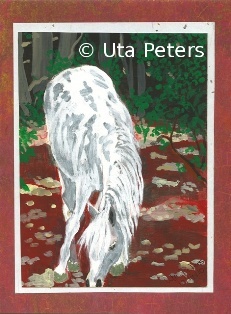 She found it in a photo taken at a prairie in a Canadian National Park. Besides the obvious splendor of the millions of Lupines and Sunflowers it was intriguing to her that the light in that photo seemed to come from everywhere. 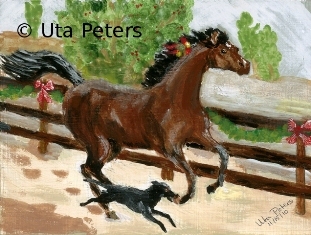 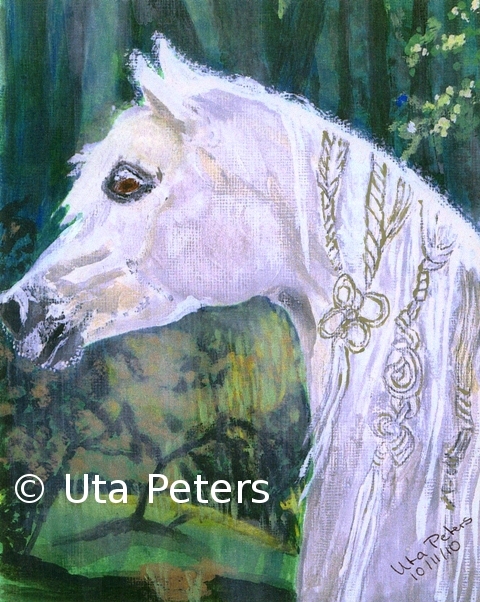 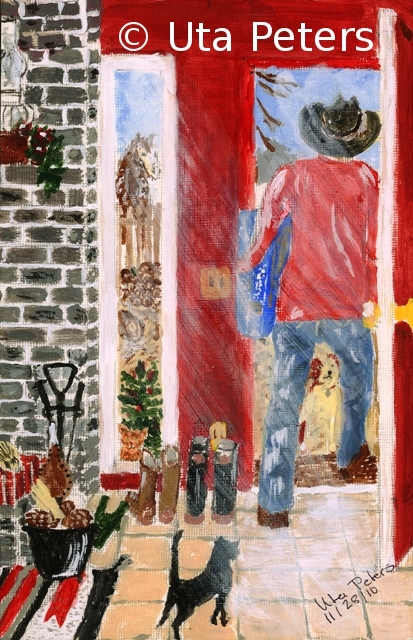 This initial presentation of original artwork for sale by Uta Peters was done in acrylics. Purchase of the artwork through a PayPal link that will be provided below. 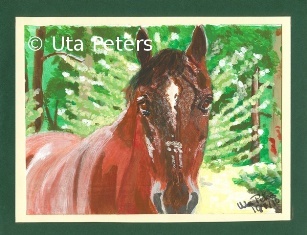 Biographies of the horses are on the back of the cards. 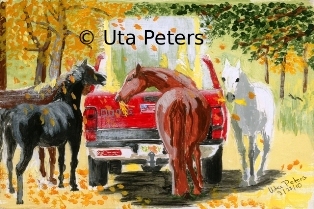 Additional presentations will be posted as they become available.